I don’t know if you ever saw it, but for many people, Das Boot (a TV mini-series which was also edited into a film) is one of the definitive films about life on a submarine during World War II. It’s a brilliant drama, and is well worth a watch if you have never seen it. Submarine games have been a staple of video games for some years, but we haven’t seen that many wargames or boardgames about them before. 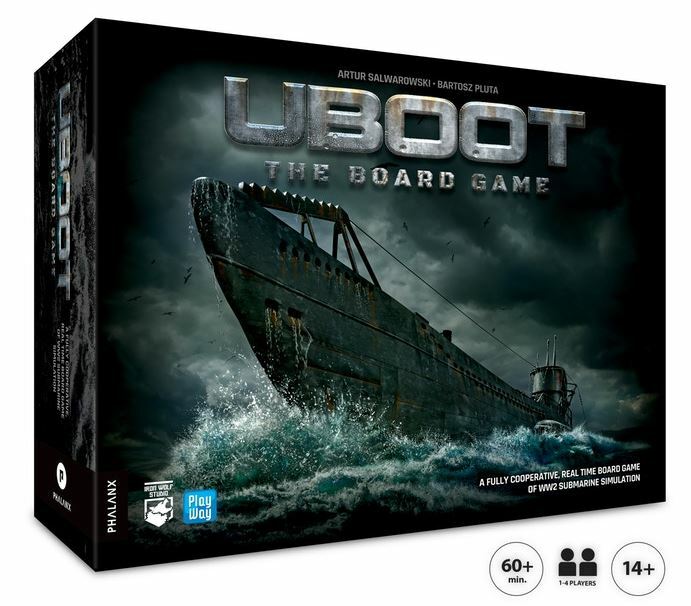 UBOOT The Board Game is being produced by Iron Wolf Studio and Playway, and published by Phalanx Games. It is a co-operative game where players take the roles of the Captain, First Officer, Navigator and Chief Engineer aboard a type VIIC U-Boat. The game is app driven in real time, so as the game progresses, different challenges are thrown at the players as they seek to perform their objective during a number of different scenarios: Hunting patrols, convoy attacks, search and rescue and many more. I saw the prototype at the UK Games Expo in 2017, and chatted with the guys from Iron Wolf about the game (sadly, the audio never made it to the podcast as the recorder battery ran out half way through and I didn’t notice!) – The game looks intriguing, and has wonderful attention to detail – such as using period Kriegsmarine navigation charts to inspire the movement mechanics. Whilst it’s not a miniatures game (although it does come with a nice 1/72 scale 3D board representing the U-Boat) UBOOT does look to create an atmosphere for the players that puts them right into the middle of the Battle for the Atlantic, so it is very much a wargame/simulator. The game is currently funding on Kickstarter, with the project running until the 15th February 2018. It has already exceeded it’s funding goal by over £350,000. Delivery is due in December 2018.